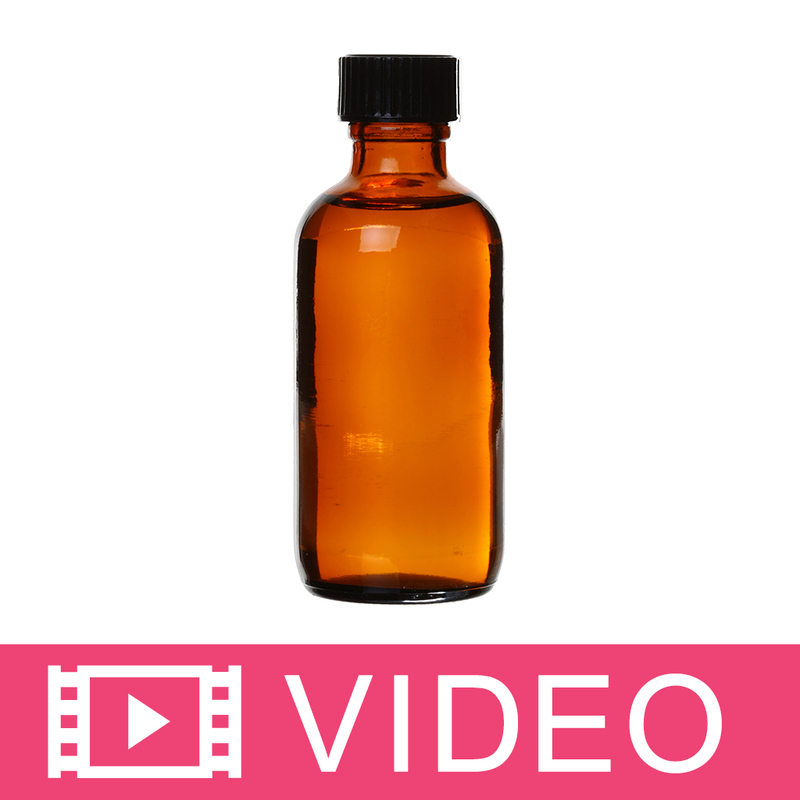 This oil contains 18.7% of essential oils and resins. The remaining components are natural and synthetic aroma ingredients. 1) The maximum amount of fragrance the product base will accept. For example: MP soap is 3%, IFRA max. use is 6%, and desired smell is 2%. You should not use more than 2% in your product. This 2% is the lowest of all of those numbers. COMMENTS: I didn’t know what to expect but this smells amazing! It smells so natural and not perfumey at all. Out of the bottle, I smelled honey but once I added it to my CP....it came alive. All the notes came through and the scent retention is great. It’s easy to work with - no discoloration. I will definitely keep this in stock. COMMENTS: I've had requests for an almond scented soap, and this fragrance is perfect! It does not smell like cherry cough syrup or bitter, is not sickeningly sweet, and behaved perfectly in my Goat's milk CP. It is warm, sweet and a little nutty. My soap turned out a gorgeous creamy color with a great scent. I sold out for Valentine's Day and reordering to carry it as a regular. COMMENTS: Almond overpowers. Bit bitter I expected more honey. COMMENTS: I really was surprised to find this with no vanilla and I'm so glad I did! This is my absolute favorite frangrace! Held true during and after the cure. Soaped perfectly at room temp! No discoloration and I have a nice white. This is sure to be loved by many! COMMENTS: This is my favorite almond fragrance of all time! I mix it with cherry to make a cherry almond fragrance my customers love! It is also amazing alone! HIGHLY recommend! COMMENTS: This has to be the worst fragrance I have purchased from WSP. It smells like awful cherry lotion mixed with cough syrup. This fragrance stand alone not pleasant. This fragrance mixed with Goat Milk & Honey (awful), Honey & Shea (awful), and Almond Milk & Sea Salt (awful). COMMENTS: Used in cold process oatmeal soap. Everyone loves it. COMMENTS: I use this in my honey almond soap. This is one of my top sellers!! COMMENTS: I have been searching over hill and dell for an almond fragrance.... And boy am I glad I found this one!! The scent was fantastic OOB, I could pick up all the lovely notes. Plus, it soaped like a dream.. was able to do a beautiful "Clyde slide" swirl using 2 colors & with pure honey as one of the natural colorants. The scent stayed fairly well after the cure (I may up usage a smidgen). It's my Mom & sister's favorite, they love it!! Next project....scrubs, lotions and creams with this lovely scent! COMMENTS: This fragrance is amazing. I just can't get enough how strong it is! 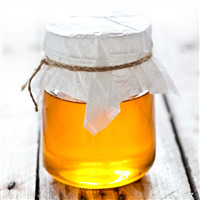 COMMENTS: This is our most popular product featuring honey from our farm. 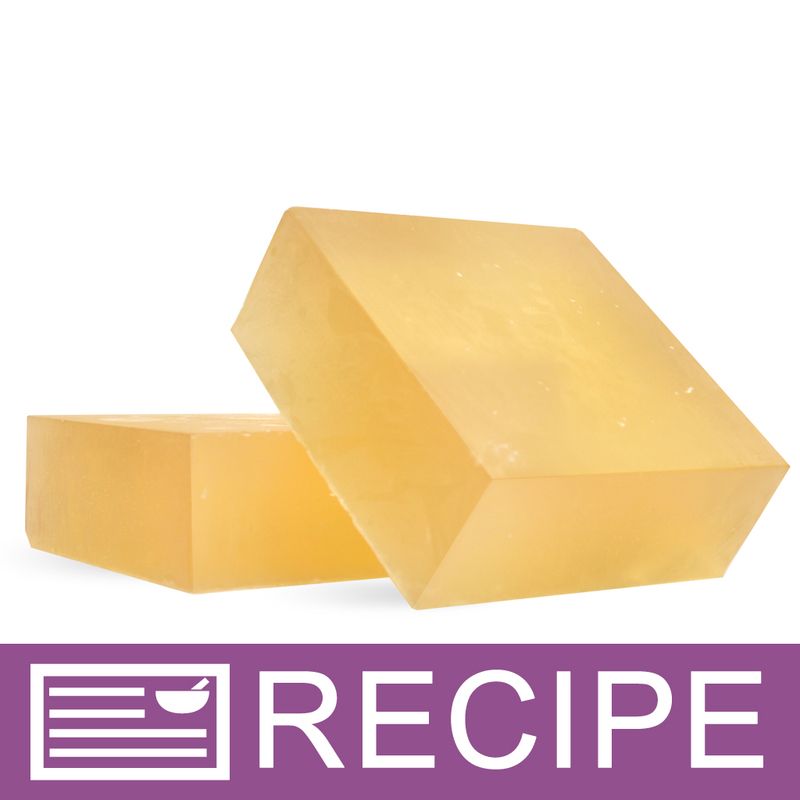 We add a small amount of honey and beeswax in this cold process soap and people go crazy for this fragrance! It is the almond that people love but can't quite put their finger on. Almost smells fruity until you know what it is. COMMENTS: This is one of my personal favorites. 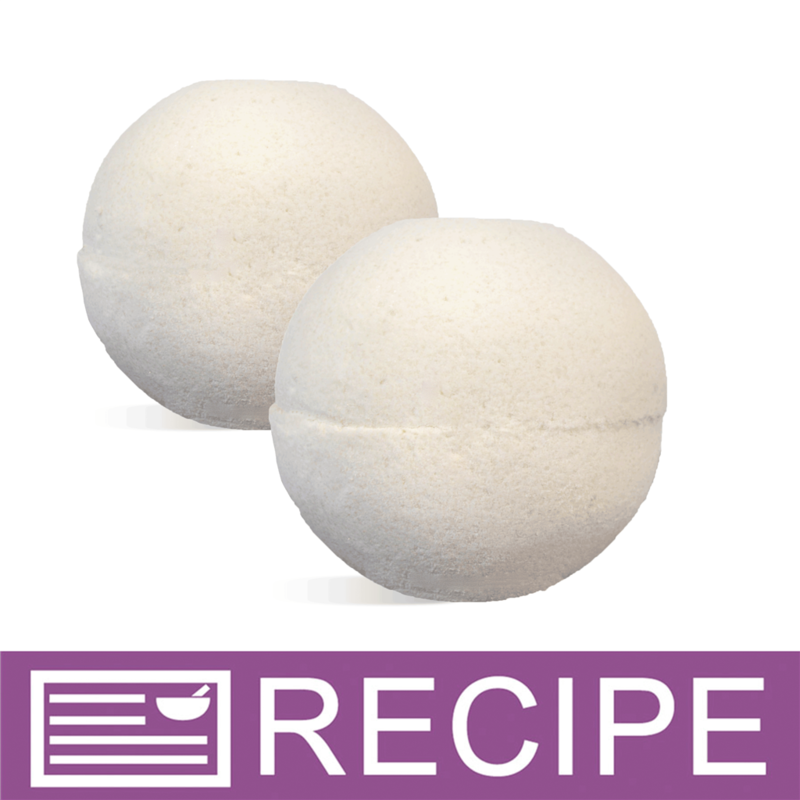 I love the scent and can't seem to keep enough in stock as it is a favorite in lotion bars. "WSP's Honey Almond EO & FO"
COMMENTS: This has been my go to fragrance since starting to make soap 12 years ago. It always sells well. I started with WSP's oatmeal honey almond fragrance oil and switched to essential oil after many requests. I add the colloidal oatmeal from WSP when I make it with FO or the EO. It is always one of my top sellers at craft shows year round. It is the one I recommend for men and women when a person is buying a gift and is unsure what fragrance the person prefers. It is a long lasting scent. COMMENTS: This fragrance blends so well with the DF MP Citrus base. It has a delicate zing, and a light warmth to it. Keeping this combo in stock. "Very Strong in a great way"
COMMENTS: I love this scent. OOB scent is out of this world and very strong so do not sniff too close. Perfect balance of both scents! Great Hot and Cold Throw in my soy candles! COMMENTS: Woooow!!! Excellent for soaps. Get it and don't think about it! You'll love it. COMMENTS: Just Love this scent. 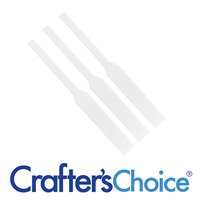 I use it in many products and it never disappoints! 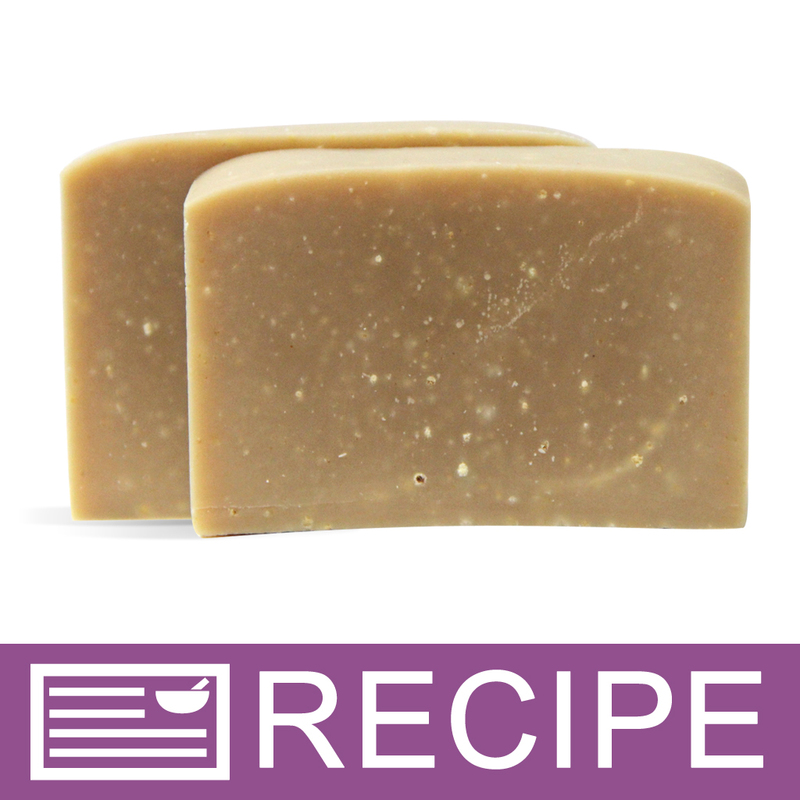 COMMENTS: I used this is one of my cold process soap recipes recently and used the soap myself to try it out. The scent holds up well in the soap and it's not too strong of a smell. COMMENTS: This scent is like sweet almonds and is a big seller at crafts shows. Definitely one of my top sellers overall. COMMENTS: Love, love this FO! Wonderful for MP soap and lotion. My customers love this one! COMMENTS: This is truly the perfect almond scent! Appeals to a large base. its my year round best seller in my oatmeal soap. NO DISCOLORATION IN THE MIDDLE! My bars are a perfect light beige the entire way through! I love that! COMMENTS: this smells good, but is EXTREMELY strong. My customer loves it but it gives me a headache when I have several loaves curing. COMMENTS: I used this in my extra large gold bath bombs mixed with a little sandalwood and amber, and it is delicious! Such a decadent scent. "Honey Almond EO & FO blend 741"
COMMENTS: I love the overall scent, but not enough honey scent in it at all! Mostly I get Almond - which honestly I can achieve with Almond Extract (really). "Terrific Honey Almond EO & FO blend"
COMMENTS: Smells great. Did not rice or speed up trace. The smell still lingers in cp soap. COMMENTS: Smells great. Reminds me of the original (cherry almond) Jergens lotion. "Heaven in a bottle! " COMMENTS: I make bath truffles with this fragrance and they sell out every time! This marriage of honey and almond is sweet, decadent and so unique. If your looking for a scent that is truly a fantastic smelling combination of both honey and almond...this is the one! COMMENTS: I've used this in cold process soaps and in salves. It seems so darn good! I'm definitely ordering more!! COMMENTS: all i can say is wow! very strong, not much is needed at all. this is one of those keepers. the scent sticks and the price is awesome. COMMENTS: Favorite fragrance! Very popular with customers!,, smells amazing!, use in Shea base with oatmeal. Big hit. Always sell out. "Excellent - makes me hungry!" COMMENTS: This works well with cold process soap. I love the scent, it lasts for a long time and is still strong at the end of 8 weeks curing time. "One of the best I have in my line"
COMMENTS: I have to keep this fragrance in my inventory all the time. It is a wonderful almond and people love almond. Always sells. COMMENTS: This fragrance is a nice soft scent that pairs nicely with a melt and pour soap. COMMENTS: This Fragrance smells amazing, it is one of my most favorite ones by far! I did buy it as part of a kit but I loved it so much I am getting it as a regular for other products. I also love that it is a FO/ EO blend which makes the smell even more true. Will Definitely recommend this fragrance! 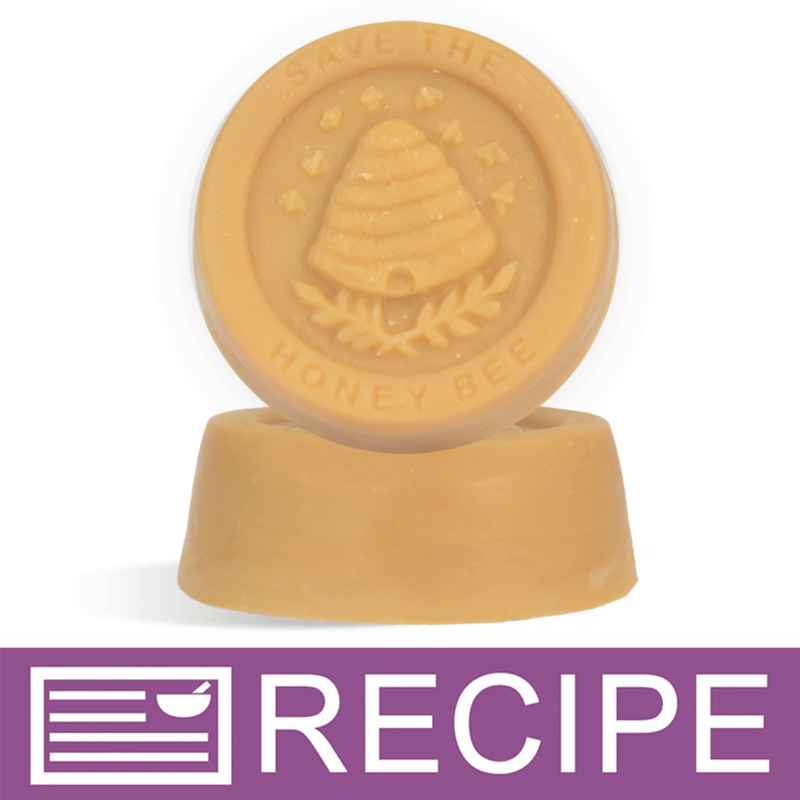 "One of my favorite scents"
COMMENTS: I love this Fragrance Oil and I use it in my honey related soaps. It doesn't cause the soap to trace any faster and the scent has some staying power. COMMENTS: Smells amazing. Staying power is average, maybe a little better. "Scent is gone in CP"
COMMENTS: I really liked the way this smelled in the bottle. I scented with a percentage I would consider strong, but after cure the smell is gone. I would only call this soap "unscented." Too bad, because it does smell nice OOB. "Honey Almond - EO & FO"
COMMENTS: I love this oil so much. It had no problems in my cold process soap whatsoever. MM mm! Its a really nice scent. "A COOKIE THAT YOU CANNOT EAT"
COMMENTS: This fragrance is the best seller oil on our online store. The CP soap holds the sweet fragrance for quite a while. I'm looking forward to trying more! COMMENTS: Made twice using goats milk and people love it! Never seized and smells divine! Please keep this scent. COMMENTS: I used this fragrance in my hard lotion bars! Lots and lots of compliments! Customers asking for more! COMMENTS: My customers love the smell. COMMENTS: Used in melt and pour soaps and the entire kitchen smells lovely. Good clean scent. COMMENTS: Smells great! I love this blend! COMMENTS: I purchased this fragrance oil for my lotions. My sister-in-law uses it in her handmade soap and it is a bestseller. So, I decided to try it in my line of lotions. It is absolutely amazing and I've had no trouble selling them at all. Thanks Wholesale plus!!! COMMENTS: This scent is very nice, but it totally disappears in CP soap. Seemed to come back after a few days, but after a couple of weeks it was entirely gone. Disappointed. COMMENTS: I was excited to get this blend when I ordered it. It didn't give me the sweet nutty scent I was hoping for by itself. I still haven't found the right use for it. Sometimes I add it to vanilla and nutty scents. COMMENTS: The almond is what you smell most but behaves and smells wonderful in soap! COMMENTS: So nice. Honey Almond - EO & FO Blend is a favorite. COMMENTS: Smells nice, not one of my favorites. COMMENTS: Love this scent! I just wish it was more popular at my markets. NO a&d. COMMENTS: This is our Ladies Choice winner! All of my female clients love this scent and any variation that I mix with this scent included. COMMENTS: This is a very nice fragrance. It's a warm and welcoming fragrance. Very Relaxing! COMMENTS: I think this smells like oat, milk, and honey, but better. I really like it in cold process soap. Great seller. People seem to go ga-ga for it. I hesitate to use in body butter anymore, due to a few people claiming sensitivity...the bitter almond perhaps? "Honey Almond EO & FO Blend"
COMMENTS: I've used this oil in both CP and HP soaps and love the clean scent. I've incorporated this scent with an oatmeal & honey soap which has a bit of an exfoliating property. Smells terrific! COMMENTS: I love the scent of this and so does everyone who smells it. I will be ordering more. COMMENTS: I like it but the balance is mostly on bitter almond scent, it is pretty strong. COMMENTS: This is a nicely balanced fragrance with the warm honey scent but I like the touch of almond also. This has worked well in my products so far and seems to holding scent well. It is selling well and I need to purchase more. Highly recommend. COMMENTS: This fragrance has performed better than expected! My customers love it and I can't keep in in stock. COMMENTS: This has become an unexpected favorite of mine. I bought this because Almond Honey was out of stock. This does not smell like Almond Honey - not even close - so I couldn't use it as a substitute. It smells like a 'honey flower' to me. It smells better once you spread out the lotion on your body. A little goes a long way but it has a soft and warm scent to it. "If you like Oatmeal, Milk and Honey FO try this"
COMMENTS: Everyone around here loves Oatmeal, Milk and Honey FO. I bought this because it was more natural and I like it better. COMMENTS: I am very happy with how this smell is! Nice and strong! I am excited about trying it in some lotions! COMMENTS: I use this in my cold process soaps. The scent is incredible and holds up very well in cp soaps. No ricing or trace acceleration of any kind. Customers keep coming back for more. COMMENTS: This is another scent I make an entire product line from (fizzes, gel, and body mist). My customers can't seem to get enough of this. COMMENTS: The scent is strong, but I like it that way. It tends to smell less after a month or so, so if you like it strong, you won't be as happy if your product is still in your hands in a few months, but if you don't like it strong, you'll like it after it sits a while. COMMENTS: My clients love the scent of Honey Almond. My success started with the My Teen bar soap which I can't keep on the shelf :). Their moving like Hot Cakes! They really can not get enough of it! I try to use it in all the products we make. COMMENTS: The best, warm , wholesome, clean, natural-ish scent I have on hand. It sells better than my long time lead scent Warm Vanilla Cake. I use it in every thing I make. It is amazing in CP, no accel or ricing, the scent barely fades at all. Just got an order in for 60 more bars in this scent. Demand slows down in the warmer months but this scent rules my Fall/Winter sales log. • Not a single thing....EVER. COMMENTS: This oil has a sweet almond scent. It's similar to an almond extract but sweeter. I mix it with a little bit of vanilla as well. WSP Response: Thank you for your review! We agree - this does smell great! 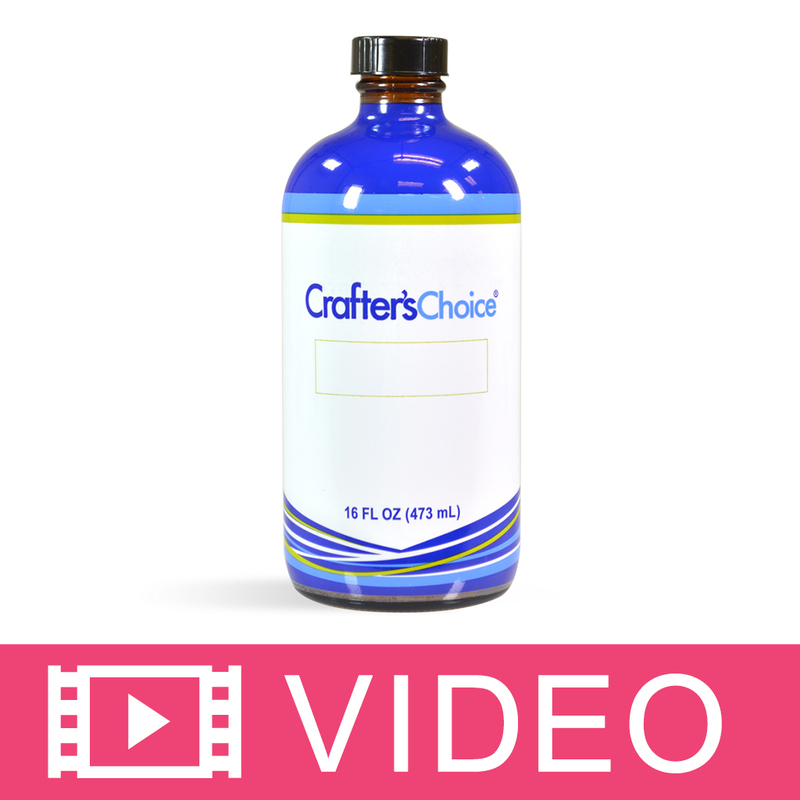 If you are mixing this with a vanilla oil, make sure you use the Crafter's Choice Vanilla Color Stabilizer (we have it available for MP, CP, and Lotions/Washes). This way your product will not discolor due to the vanilla content. Enjoy! COMMENTS: Started out with the kit, but the soap is so popular that I've purchased several larger bottles of this fragrance. Customers have said that the fragrance reminds them of old fashioned natural soap from years ago. My younger customers, no joke here, say it smells like cherries. They all LOVE it! And I have to admit, when the Honey Almond Oatmeal Soap is curing, I love to just walk in the room and take a big whiff! Recommend this fragrance... stick with what works in the recipe. COMMENTS: This is my all time favorite scent. I made cpop soap with it. 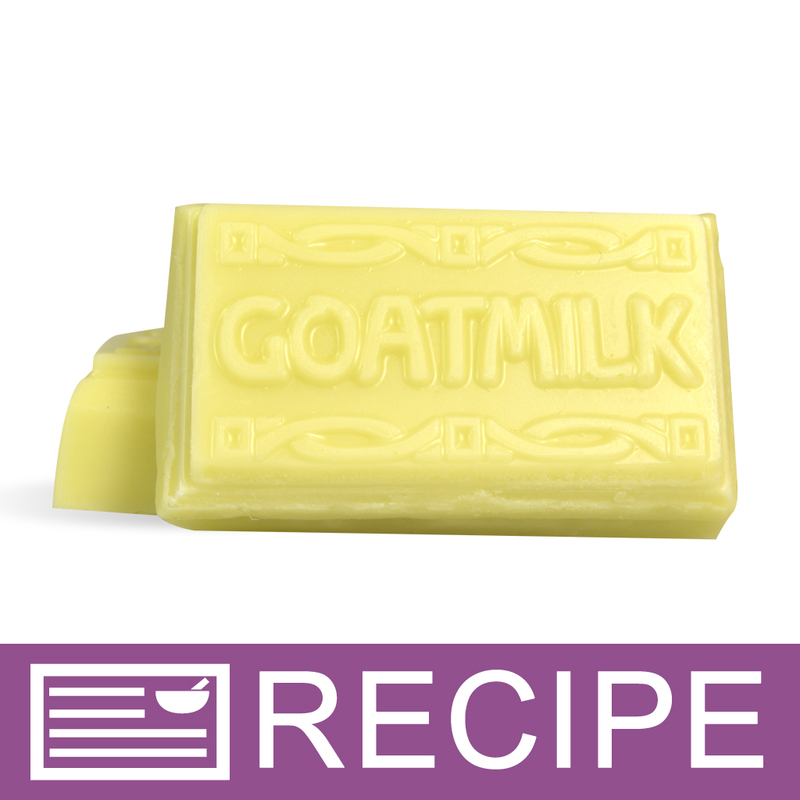 I wanted the scent to be really strong in my oatmeal goat milk soap. It was sooo good. I need to make more. A little bit goes a long way! COMMENTS: People love this scent. Have done several products in my line. Does not seize up in CP soap. Good seller. COMMENTS: I've purchased this fragrance type from other suppliers and none compare to WSP. This is a personal favorite of mine, love it in soap and body butters. It it also a best seller in my line! If you've never tried it, do and you won't be sorry! 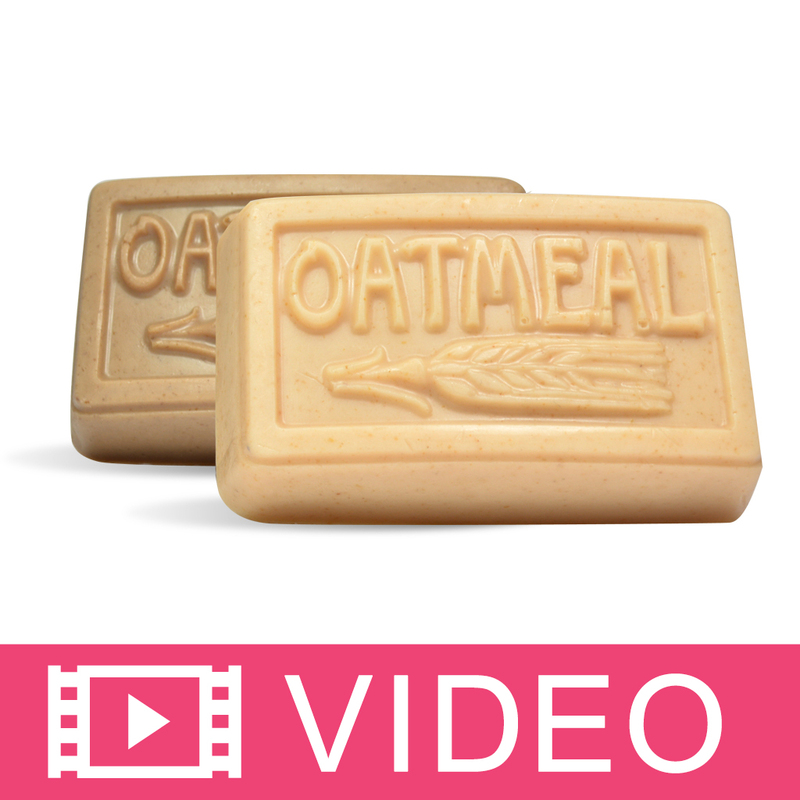 COMMENTS: I love this in my oatmeal soap! It's sweet & fun, but also appropriate for soap. The fragrance lasts a long time, too. COMMENTS: This is such a great smell. Reminds me of something from my past, but cannot put my finger on it. I highly recommend! COMMENTS: Sold out of all soap made with these on the first day! Made CP soap with these heavy whipping cream. Called them cherries and cream and sold out all of them the first day. Use red oxide and titanium dioxide for the swirl. This happened with both batches at the farmers market. Can smell the almond, but I can't really detect any other scents. Very nice cherry scent. COMMENTS: This is consistently one of our best sellers. People seem to love this scent. To me it has a strong almond smell that overpowers the honey but others smell it differently. It is a keeper. COMMENTS: Perfect in cold process using goat's milk and ground oatmeal! This is my best selling soap! Please oh Please never get discontinue this blend! The hubby even loves it! COMMENTS: I love this EO/FO blend. My customers absolutely love it, and keep coming back for more. The product soaps like a dream, and it goes a nice creamy color in CP. This is definitely an almond scent, though without the bitter accord. I don't think I'd keep calling it "Honey Almond" because that is a bit misleading. That said, I will continue coming back for this one as it's a huge hit with my customers! COMMENTS: This is fragrance is one of the top 5 selling I have. I use it in CP soap, lotion, body butter, etc and it lasts. It does oxidize a little bit but because of the almond it gives it a nice shade. It's a keeper!! COMMENTS: This my husband's favorite blend thus far. He said it reminds him of another popular soap scent. The almond does overpower the honey, although still a warm sweet, nutty and calming fragrance. A little goes a long way. "Love it! Love it! Love it!" COMMENTS: This has become a customer favorite. COMMENTS: My customers always comment that this EO blends reminds them of something pleasant - cookies, holidays, etc. Another very popular blend. COMMENTS: I was unsure of this scent when I opened the bottle, it smelled a little like alcohol. I used it in CP soap & the batch is still curing. This blend did NOT discolor my batch. The scent mellowed out & smells very warm & inviting. Heavy almond scent, but sweet & smooth. I would buy this product again. COMMENTS: I use this in my CP Goat's Milk Soap. It holds it scent very well. It is our best seller by far, and a family favorite! COMMENTS: I'd created this coconut milk whipped soap and used this blend and got sooooo many raves and wish lists on it...and they're all from young guys and men! Lingering, long lasting, strong, holds extremely well, excellent in all things from bath and body to home. I've mixed this baby with amaretto, oatmeal, milk, Summer Honey All Natural Oil (of course, from WSP!! ),roses, chocolates, buttercreams, cardamon, cinnamon scents...the list goes on and on. This is a truly superb blend and thanks again to WSP for another top shop winner!!!! COMMENTS: Strong scent a little goes a long way. This is awesome in the CP GMH soap I make. 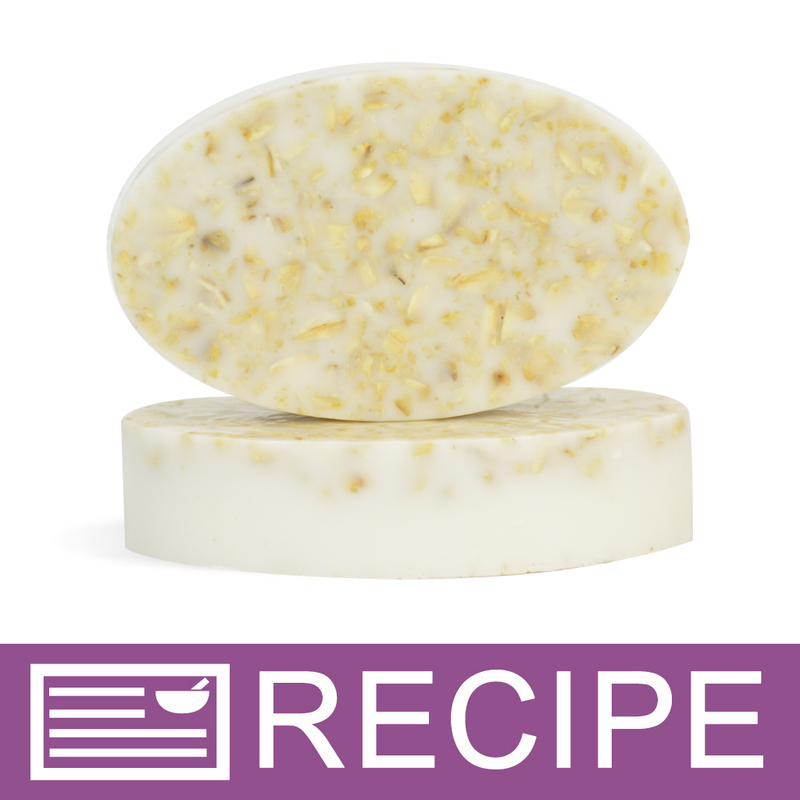 COMMENTS: I ran out of Oatmeal milk and honey fragrance oil and added this to my cold processed soap instead and it turned out great. COMMENTS: This scent always does really well, glad I could find a natural blend. It is almond heavy but that seems to be what people like about it. Personally I find the scent to be sickening sweet but once you see what it does for your sales, it might become a regular in your line too. COMMENTS: Can't wait to use this. Out of the bottle it smells velvety soft. I'm so glad that it isn't as sweet as I thought it might be from some of the other reviews. COMMENTS: This scent seemed a little overwhelming in the bottle, but when used in bath and body products it is wonderful and long lasting. It is elegant and has a nice balance of honey and almond characteristics! COMMENTS: I use this blend in my goat's milk CP. Holds very well, no problem soaping! Customers love this one, sells quickly! Reminds me of almond extract. Cant detect the other notes but I'm not disappointed! "Worked Well in Cold Process Soap"
COMMENTS: My customers love this, it is strong for me but they ask for it all the time. COMMENTS: I use this scent in my lotion bars and I can't make them fast enough. My customers love this scent. It's a nice, warm fragrance that is just really nice to smell. COMMENTS: Very almond-y in the bottle but mellows beautifully in my oatmeal CP soap. I've had no problems with this Blend and it's one of my most requested soaps! Great job WSP!!! COMMENTS: Wonderful but very strong. Customers were instantly drawn to this, moreso than I thought! Great throw, as well. COMMENTS: This is very strong and mainly gives you an almond scent, but it is truly wonderful. COMMENTS: Tried in lotion, oatmeal soap, and sweetened honey soap. Very luxurious. One of my favorites! COMMENTS: Great blend!! 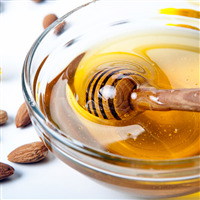 My customers love it and I think that it is a very clean and true almond honey mix. Absolutely one of my favorites! Keep this one! "Fragrance intense only small amount needed"
COMMENTS: I have used this in shower gel, MP soap and lotion all with great results. "My customers asked for a steamer fragrance other than eo and or eo/ fo blends that I put menthol with. Would this or any of the blends carry the smell in a shower steamer....or any lemon one without the menthol crystals?" Staff Answer You will need to test fragrances to see which work best for a shower steamer. 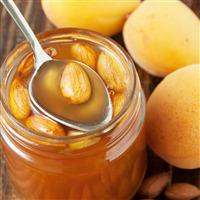 The Honey Almond is a strong cherry almond scent that may work very nicely in a shower steamer. "I'm using the Melt and Pour Shampoo/Shave base and would like to know if this can be used in it? Would I be using the same usage rate as MP soap? Also, lemon essential oil can be photosensitive- is it okay to use in hair with the amount in this blend? " Staff Answer You would use this fragrance oil in the same amount for MP soap - 3%. You do not need to be concerned with the amount of lemon EO in this. This actually contains only 18.7% of essential oils and resins. "Can you use FO/EO blends when making incense stick?" Staff Answer Yes you can use these for making incense sticks. You do need to test them to be sure they burn properly after soaking. "I would like to know what is the ratio of the "Biter Almond" in the fragance? " Staff Answer We do list that this oil contains 18.7% of essential oils and resins. Any exact percentages of ingredients is proprietary. "As you stated 0.5 oz per pound. Is that pound of oils or total batch size. " Staff Answer It would be the total batch size. "Is there any real honey in this? Most of our customers are vegan and would like to know. Ty!" Staff Answer Because fragrance ingredients are proprietary, we are unable to give you this information. "Does this fragrance discolor in CP?" Staff Answer There are no reviews stating this fragrance discolors in CP soap. It has had very positive reviews. "How much should one add as a good rule to follow on this blend to m&p or cold process?....1 oz per pound?" 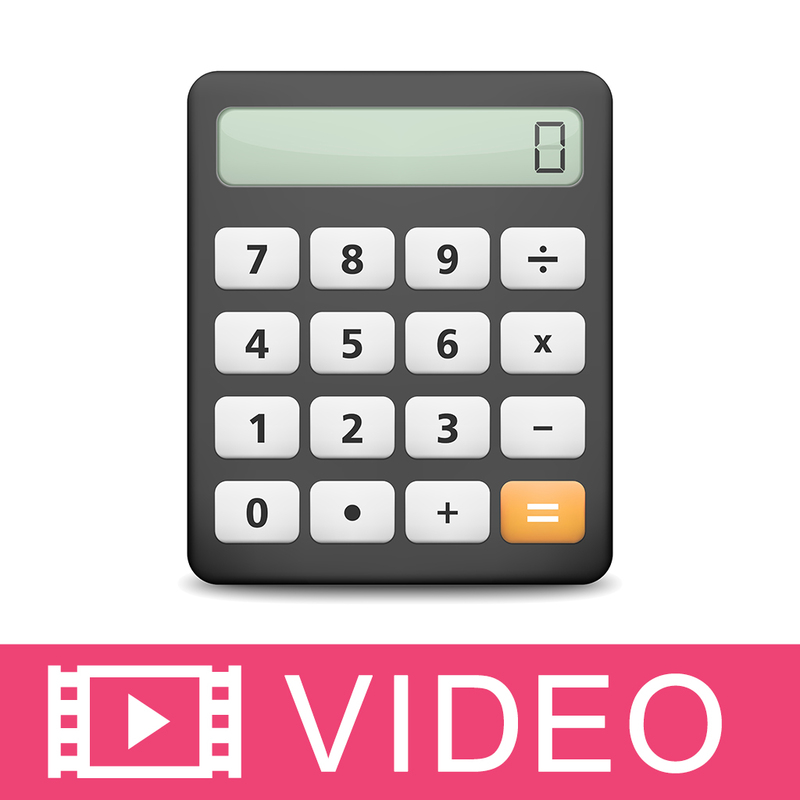 Staff Answer The recommended usage rate for bar soap is 3% or 0.5oz/lb. This would be our recommendation for MP or CP soap. 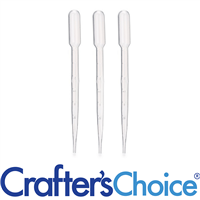 The maximum per the IFRA for this fragrance would be 6% or 1oz/lb.